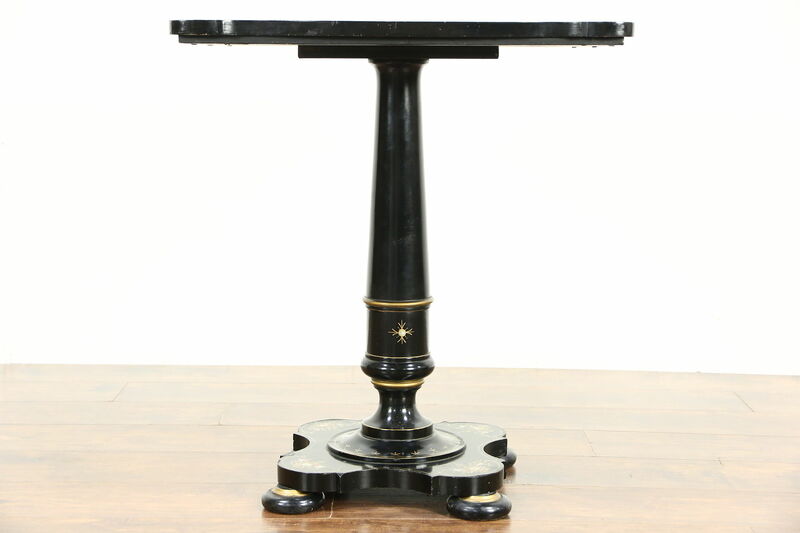 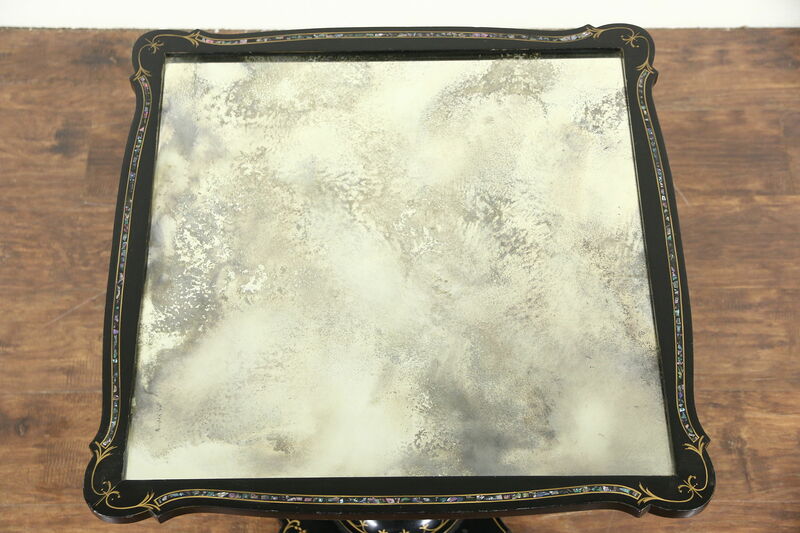 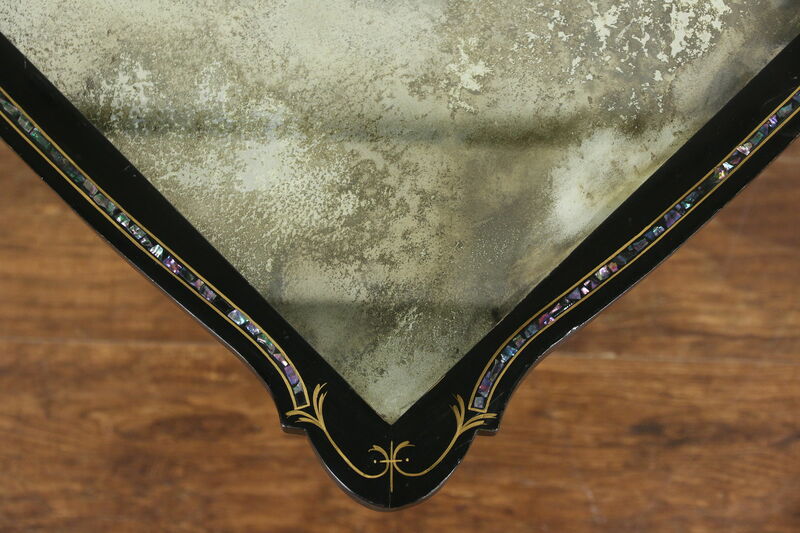 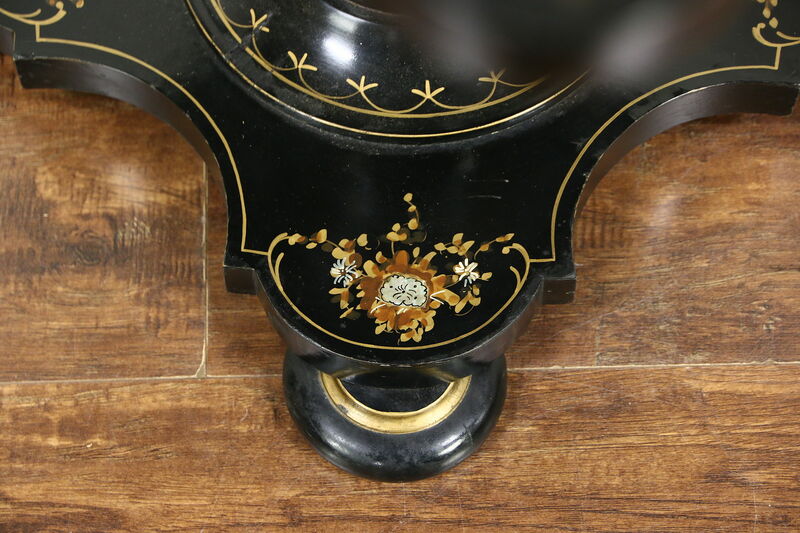 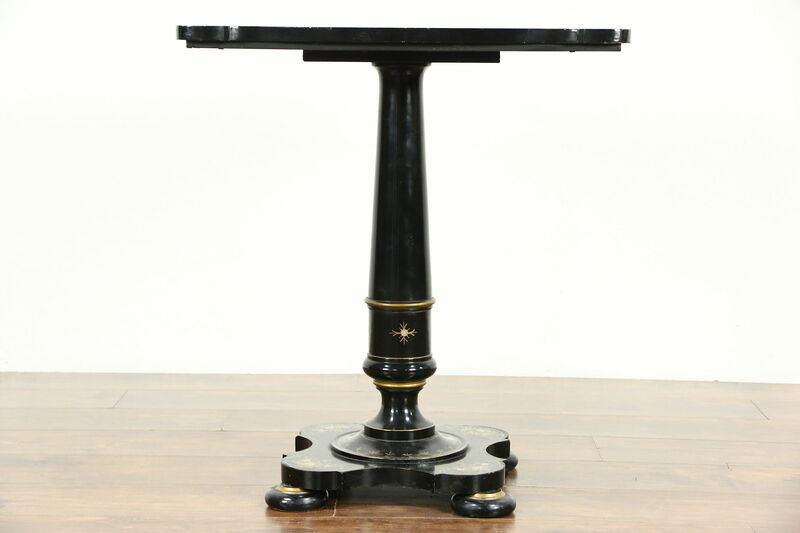 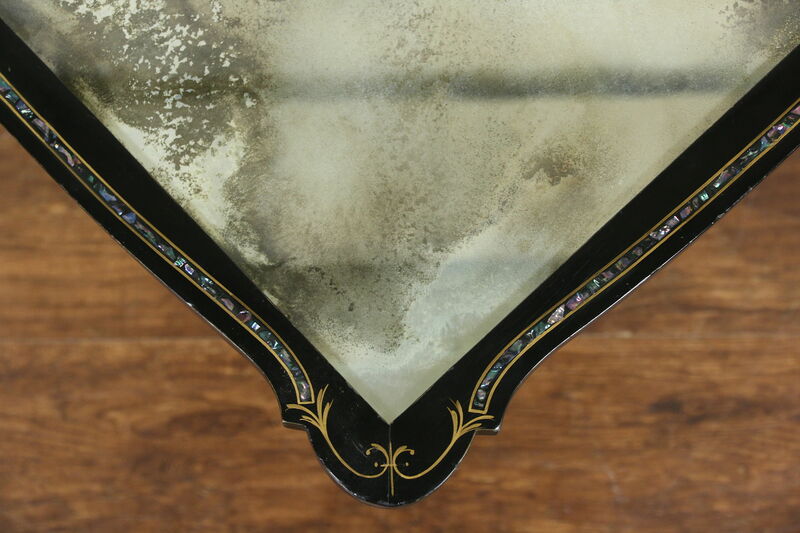 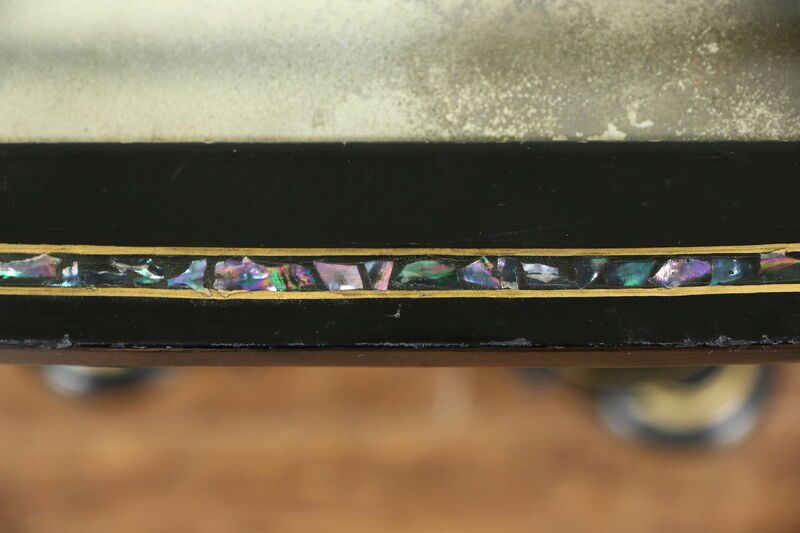 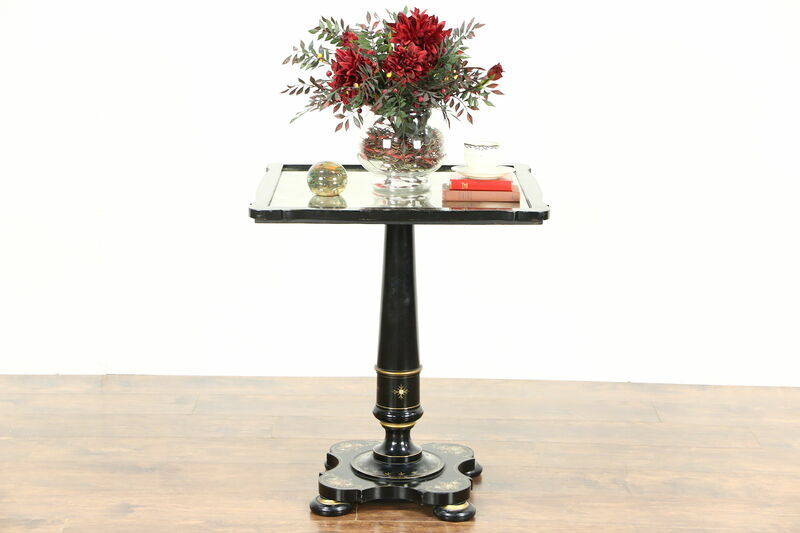 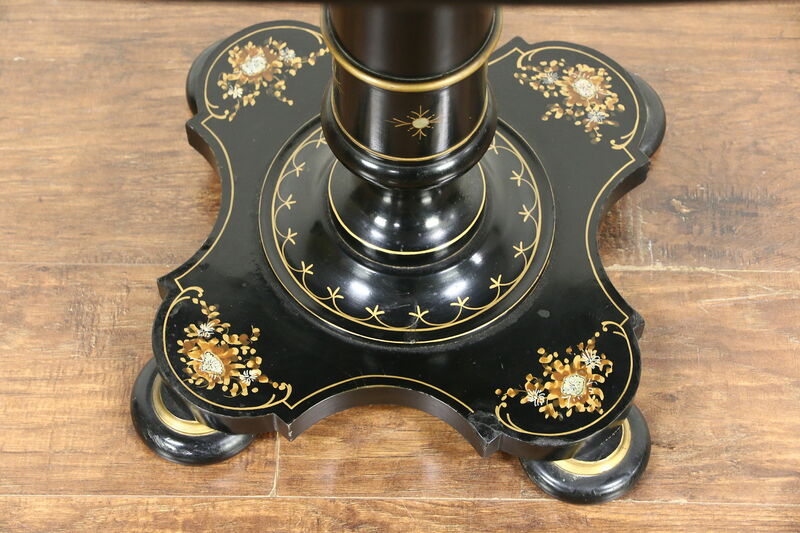 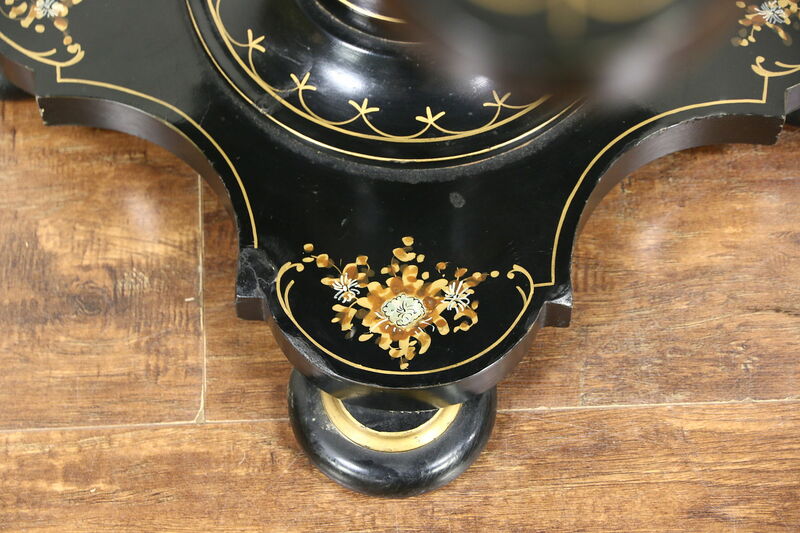 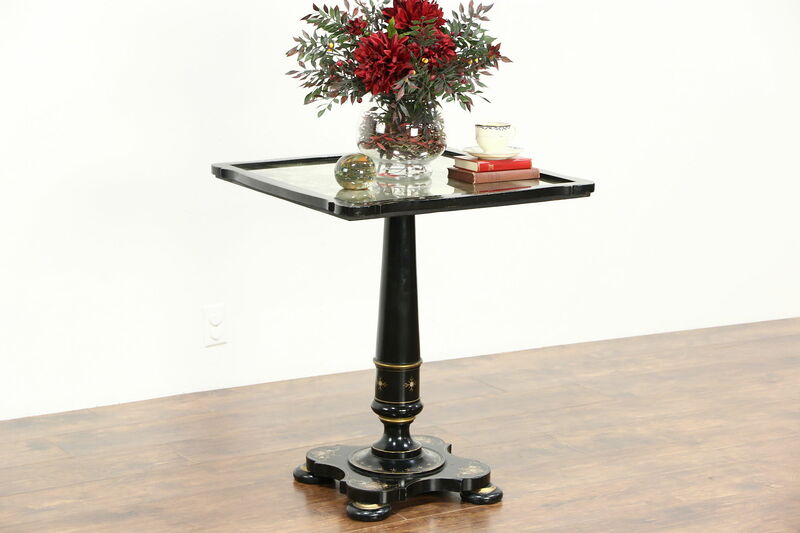 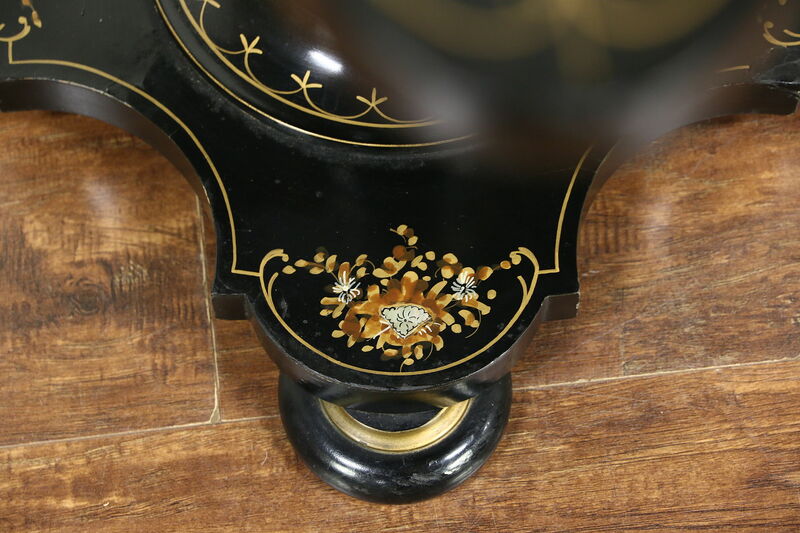 A charming ebonized and hand painted tea, game, end or lamp table is inlaid with pearl or abalone shell. 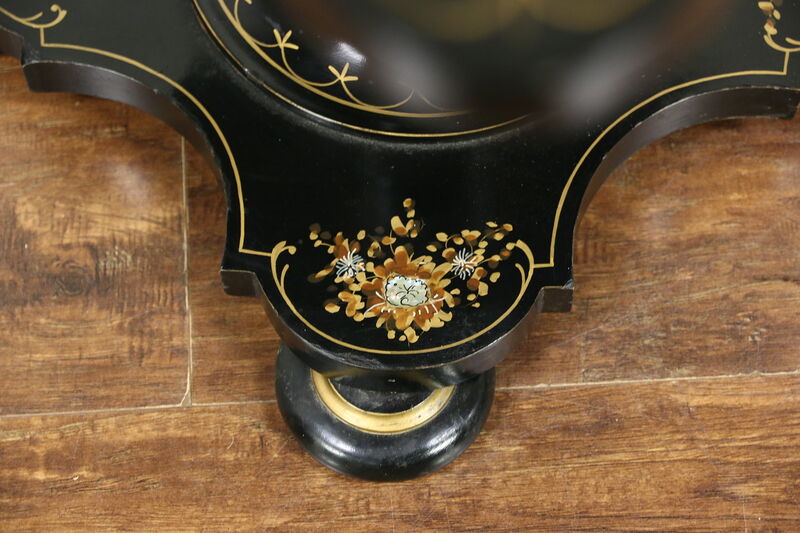 About 50 years old and all original, no signature survives. 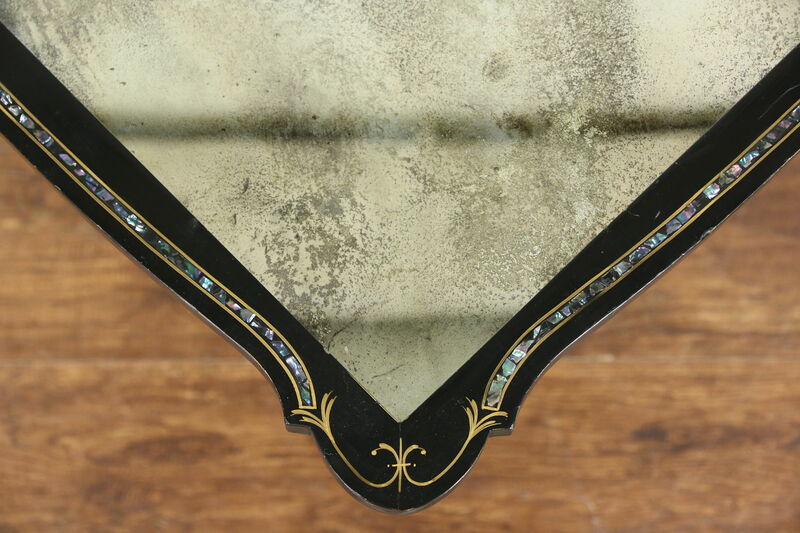 The top is framed "antique" mirror. 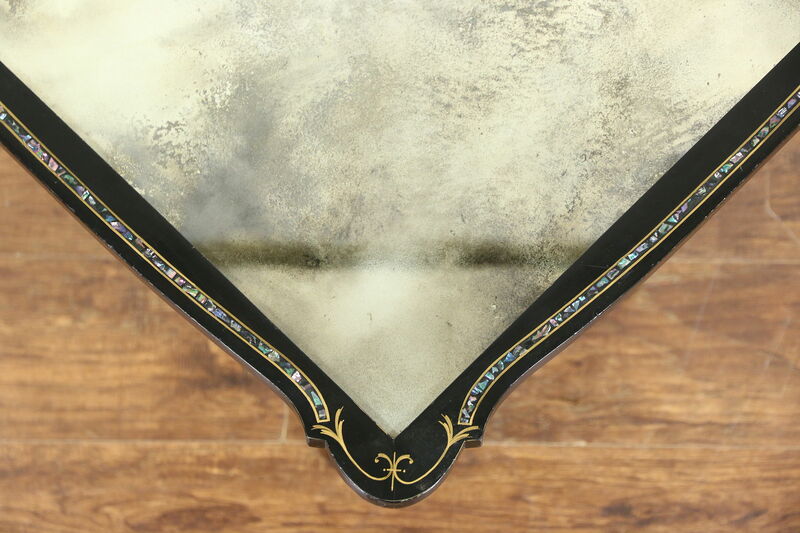 There are minor scratches and mars to the mirror and wood. 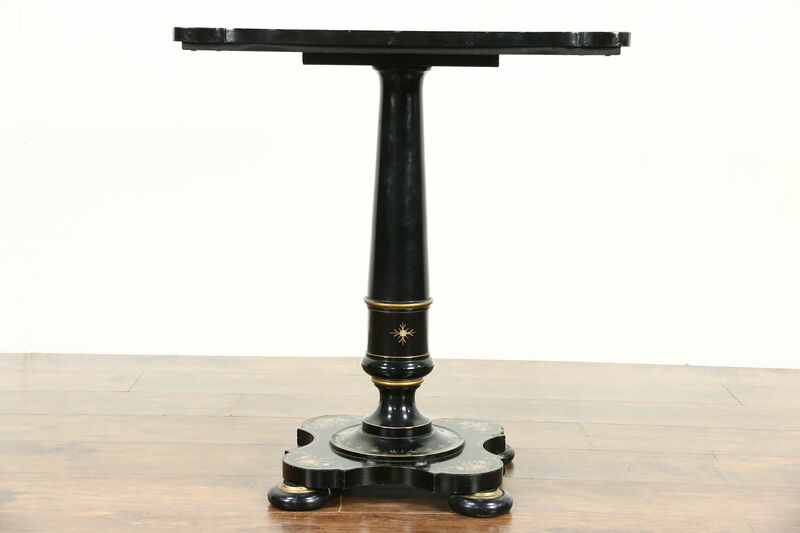 Size is 26" square and 30" tall.